MITCHELL Flintoff is a 14-year-old with a passion for war games. He also excels in maths and science at school. But in his spare time, non-for-profit organisation Canteen plays a vital role in his well-being. It's an organisation dedicated to young people affected by cancer. In January 2011, Mitchell's mum Robyn Flintoff died from urethra cancer. She had battled the disease for more than two years. "Canteen gives me a safe environment where I can talk about what's going on," Mitchell said. 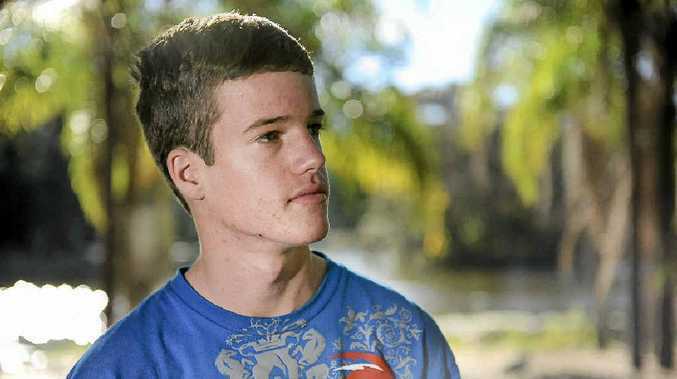 He said it had exposed him to other teens who had been through similar experiences, and he'd made many close friends. "It helps me keep strong," he said. Now, Mitchell is living with his aunt Helen Streeter-Smith, her partner Chris Smith and their two sons, Flynn, 8, and Logan, 10. Helen said Canteen also gave carers a support network. "You know of so many kids that are going through it," she said. "I don't know why anyone wouldn't utilise the organisation." She said it helped give Mitchell a break. "Even though I looked after him while Robyn had cancer, I couldn't imagine what he's been through," she said. "They were a great support for me. They call up and check how everything is going." Every year Canteen hosts four fully-funded camps for their members. Mitchell said about 70 people attended each camp. Helen said she was proud that Mitchell was a good advocate for the organisation. "He's a good role model," she said. "He's involved in a lot of the leadership roles on the camps." If you would like more information about Canteen, visit their website at canteen.org.au or call 1800 226 833.